With a barrel length of just 2.7 inches, Kimber Solo Carry pistols are easy to carry and conceal. Many of the features borrowed from 1911 pistols also make them exceptionally safe. A manual ambidextrous thumb safety, checkered slide release and ambidextrous magazine release button enable fast and intuitive operation. 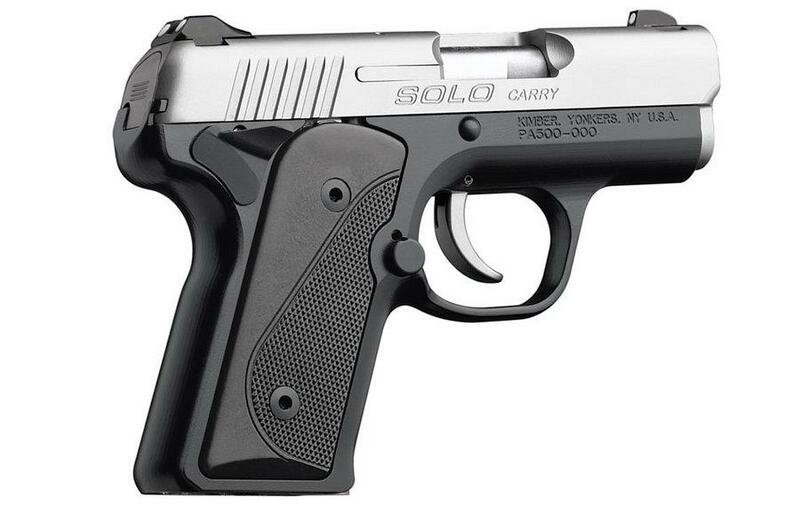 Then there is the single action striker-fired trigger pull–even and smooth. Kimber Solo frames are machined from the finest aluminum and finished in KimPro II, a premium finish that is self-lubricating and extremely resistant to salt and moisture. Slides and barrels are cut from stainless steel. Edges are rounded and blended, slide serrations are deep enough to really work and the dovetail-mounted 3-dot sights are quick to target.